Join us for a curator-led explanation of Diane Arbus’ work at the Hayward Gallery. This exhibition explores the first seven years of photographer Diane Arbus’ career, from 1956 to 1962. 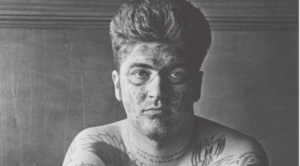 This exhibition is the first solo show of Arbus’ work in the UK for 12 years. It features more than 100 photographs, the majority of which are drawn from the Diane Arbus Archive, and have never before been exhibited in Europe. Our supporters will enjoy an introduction to the exhibition by Dr. Cliff Lauson, Senior Curator. Guests will then have the opportunity to view the works at their own pace. The gallery opens to the public at 11am.